Let’s take a dive into some of the things we’re working on behind the scenes! We’re looking at ways to make battling, building, and moving in Fortnite feel great on controller. We took an initial step with Builder Pro and feedback from you to create a better experience for console players swapping between building pieces. We heard your feedback about Builder Pro feeling inconsistent. Sometimes after quickly switching to a building piece, it would not place when you pressed the button. Similarly, Turbo Building could force you to let go and re-press to start building again, making it unreliable. We’ve fixed these issues, and Builder Pro should feel consistent. In the v4.3 update we’ve fixed various reported problems with the Turbo Building feature, such as building being cancelled while cycling through traps or after pressing certain combinations of buttons. We’ve also made Turbo Building faster so that gaps won’t appear in your structures when aiming quickly. The first time you begin building it takes 0.15 seconds to build, but each piece after that is faster (0.05 seconds). Combined with Builder Pro, this gives you enough time to select a piece and rotate or edit it before placing. When playing with a controller and using Edit Mode to modify your buildings, aim assist will kick in and pull your crosshair toward the closest square. It will also try to confine your aim to the building piece you're editing. We've heard that some players find this feature uncomfortable to play with, so you'll be able to toggle Edit Mode Aim Assist off in the v4.3 update. Looking to the future, we want to provide for the best experience on console and that involves giving you the options to play however you wish. We’re investigating giving you ways to bind actions to whichever buttons you would prefer to use. Additionally we’re investigating other aspects like stick axis remapping. We’re not sure when this will land, but we’ll give you more info once its fully tested! We’ve been using LTMs to take existing aspects of the game and try new things with them (i.e. legendary loot in Solid Gold or faster games in Blitz). We look at LTMs as a space that allows us to explore different tweaks to the main game mode (e.g. Building Resources) and do things we wouldn’t normally do in standard playlists. 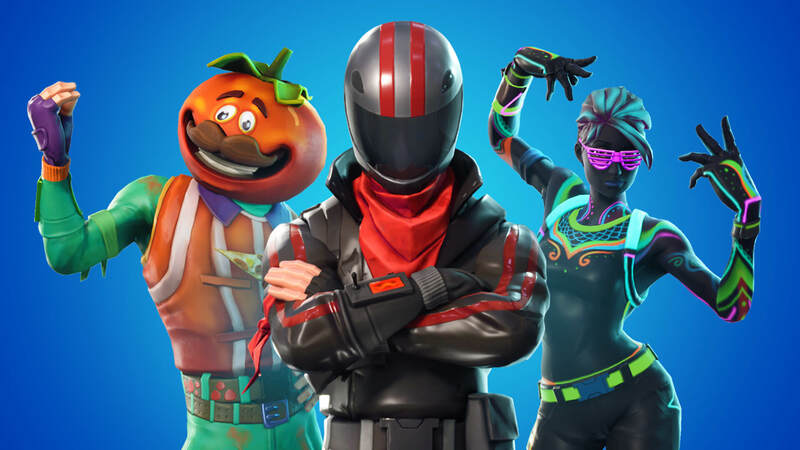 We’ve heard you about your love for 50v50 and we’re currently evaluating keeping a larger squad mode live at all times for those who enjoy that type of battling more! We took our first step into what a competitive playlist may look like with Solo Showdown. Creating a separate space for players who wanted to compete towards a prize while exploring how competitive play might look in Fortnite. 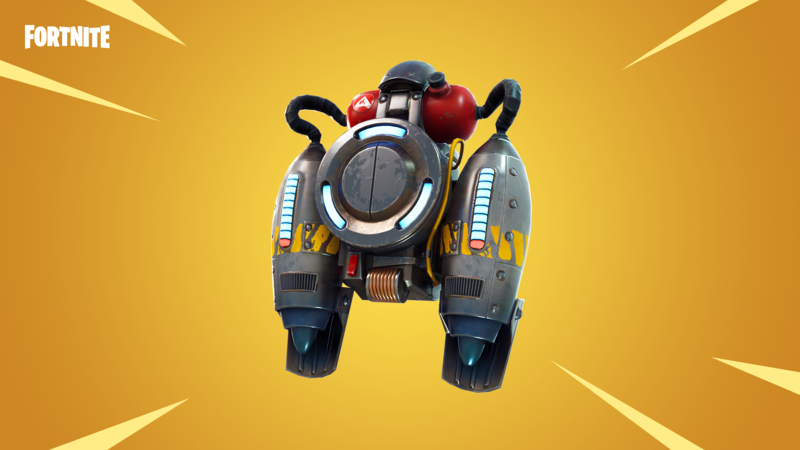 We introduced the Jetpack this week as our a Limited Time Item. Our goal is to introduce items that change gameplay in big & unique ways. We’re going to keep a close eye on your feedback and the data we collect. You’ll also see the Jetpack featured in our Close Encounter LTM going live tomorrow! The Playground LTM will load you into the Battle Royale Map with some adjusted settings. Battle and build to your heart's content with an extended period of time to roam around the map as well as increased resource generation. All treasure chests and ammo crates will be spawned, try droppin’ in different spots and scope out the loot. Friendly fire is on so you can scrimmage with your squad (up to 4 friends per match), but fear not you’ll respawn immediately. 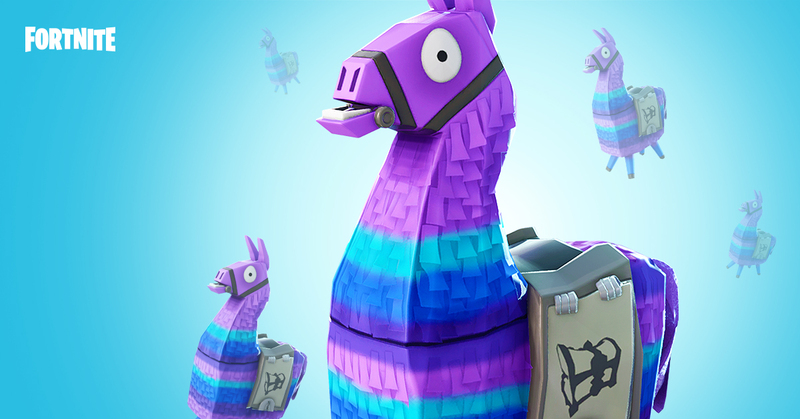 Oh … and Lloads of Llamas. This represents our initial step into what a creative mode looks like in Fortnite. Practice, strategize and enjoy yourself. We can’t wait to see what you do! When you hop on to play Fortnite after a long day at work or in classes we want that first match to feel as good as the last one. Performance is an aspect of the game that is very important to us and something we are committed to improving over time. Here are a few of the ways we’re working to smooth out your daily play! In the v4.1 update we issued a hotfix to address some long hitches, but we’re still seeing reports of these hitches in our data. We’ve added additional logging and diagnostics to help us track down issues that can cause the game to freeze. When you use in the in-game feedback report feature, it will allow us to diagnose these issues. We know that many of the hitches happen because the game is stopping to load content at unexpected times in the middle of the match, instead of smoothly streaming the data in the background. The game will now be able to directly report these loading problems to our team. We've also added a new system to more reliably pre-load content before the match starts, so that new loading hitches don't sneak back into future updates. We want to get you into a match in as short a time as possible after you hit play! We’ve been working to improve file performance, ensure cosmetics are loaded in time, and reducing overall load times. By optimizing order of assets in our patches we reduced load times on console by 15-30 seconds in the v3.5 update. Each major release we regularly update the order of assets in order to keep load times down. We recently boosted the server tick rates from 20 Hz to a solid 30 Hz in standard game modes. This means the server is updating the game 50% faster than before and should improve the responsiveness of your actions in the game. But we still have work to do. Fast and consistent server performance is extremely important to us, and we’re still working hard at it. Our next goal is to ensure that “large team” LTMs like 50v50 are hitting 30Hz for the entire match. For large team modes we’ve made optimizations to adapt and update players based on what they’re doing in game. Players who are standing still don’t need to update everyone around them very frequently compared to players who are running and gunning. Similarly, very distant players are updated less frequently, especially players that aren't visible to you. These optimizations allow our servers to handle larger numbers of players. Currently the game throttles the frequency that your player's movement data is sent over the network to 20Hz for roughly the first half of the game. This is reduce strain on the server's physics system, allowing it to maintain frame rate. As the number of players participating in the match reduces to 24, we increase the frequency of updates to 33Hz. Over time we’ll improve performance of server physics calculations, and we expect to be able to remove this throttling in a future update. We’re continuing to improve the core gameplay experience, and have a number of features in progress! Starting in v4.3 there will be in-match pop ups to highlight your challenge progress. Track what you’ve completed and plan out your strategy for the remainder of the match or your next one! Marking positions on the map is a great way to communicate with your squad, but often the marker on the compass isn’t enough to get you to your location. We’re investigating ways to display an in-world marker to allow for easier navigation around the island. Getting a Victory Royale should be a memorable experience, and the victory screen should support that. We want to freshen up the celebration and make it a bit more rewarding. The ability to zoom in on the map was added in a recent update, but the resolution of the image isn’t quite as good as we want it to be. Our goal is to capture the world with as many details as possible to make it easier when figuring out where you're droppin’! Our v4.2 update had some footstep audio improvements, where we added slightly more variation to above/below sounds. We recognize it’s still difficult to identify enemy position in high-density locations (such as Tilted Towers) and we’ll continue to iterate on this. All outfits and cosmetics have value. We want to add ways for you to gain additional goodies through collection over time! This is work in progress - and it’s a little further out. In preparation for our Celebrity Pro-Am at E3 we've been hard at work making some improvements to the replay system. We’re developing new camera features that allow you to orbit around any point of your choosing as well having the camera automatically track the action for you by focusing on a group of players, rather than just one person. We’ve also been refining the map view in replays to add more functionality to the playerlist and to add bullet trajectories to the player markers on the map. Additionally, player nameplates have been tweaked to avoid overlapping where possible. Finally, we’ve also been looking at improving player outlines and adding an x-ray view for when players enter buildings or actively building themselves so that you always have the best view of what’s happening. We're excited to get these new features and improvements into everyone's hands and will be releasing them as part of the game as soon as they are battle tested and ready! Keep an eye on our patch notes for all the details.